Now you can stay entertained and keep informed even if you have to spend hours in the kitchen, workshop or garage! These have an open box and are SOLD AS IS. No returns accepted. They have mechanical and cosmetic issues preventing standard operation. It does not function to its original standards and may need additional servicing and parts. The CD player on this item doesn't work properly. With a little know-how and some elbow grease, this Bargain Bin stereo could be a steal! 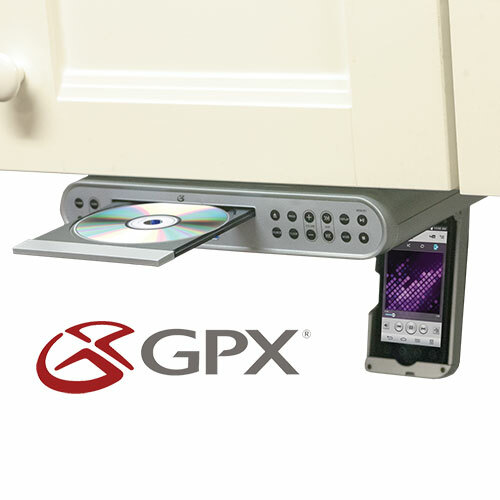 This GPX entertainment system tucks neatly under the counter so it saves space while keeping the music and information you need right at your fingertips. 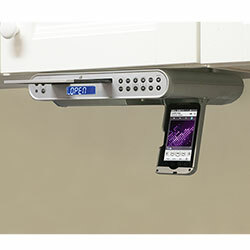 Features a digital AM/FM tuner, CD player with programmable track memory, flip-down MP3 holder for connecting your iPod*, iPhone*, smartphone or any other audio source with aux. 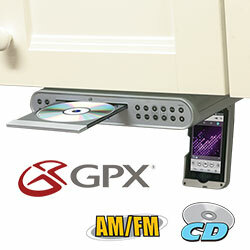 in compatibility, built-in speaker system for dynamic sound, front panel buttons, LCD display for ease of use. 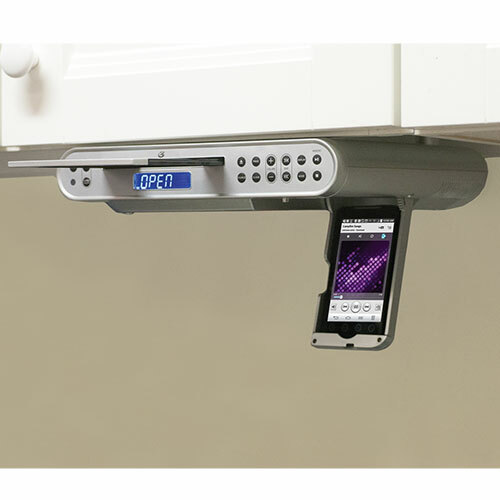 Also has clock with alarm, kitchen timer, remote control & mounting hardware. 12" x 2.5" x 12".